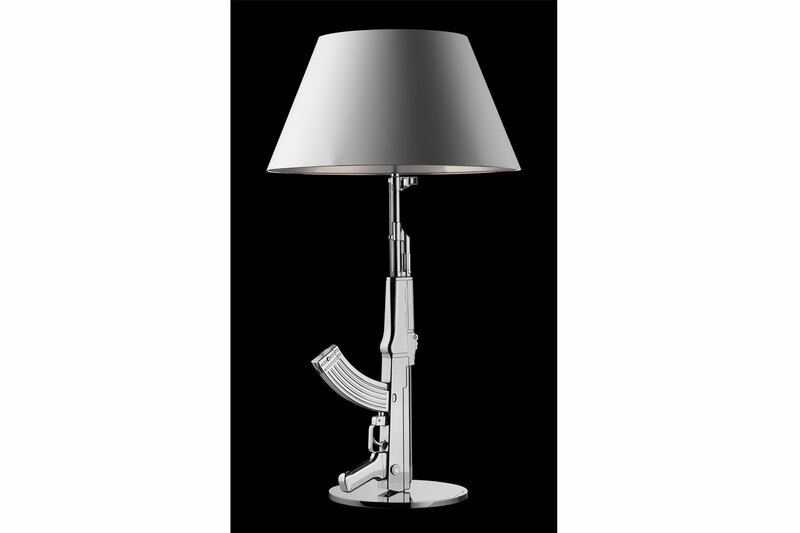 This lampÕs most distinctive feature lies in its design based on a Kalashnikov AK47 to add a touch of whimsy to the room. 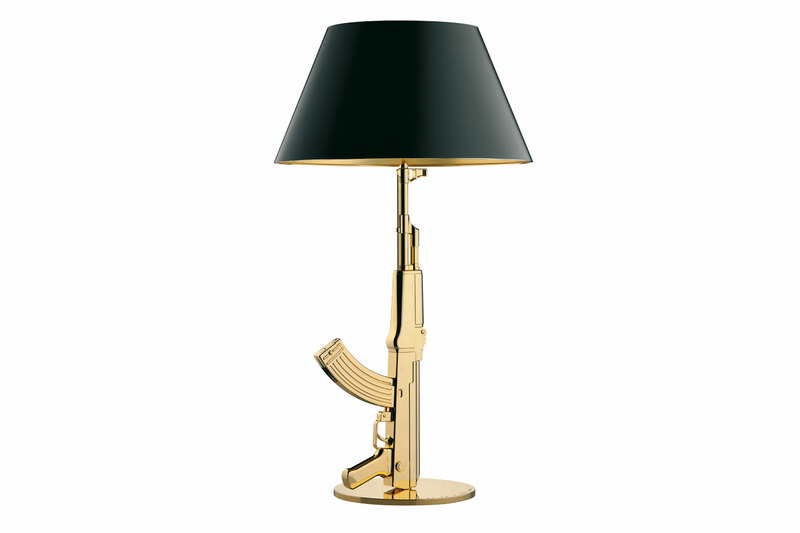 Designed by Philippe Starck, it comes in the combination of polished 18K gold with shade in matte black and gold silkscreen on the inside, or chrome finish with white and silver silkscreen on the inside. This table lamp provides direct reading and ambient lighting.